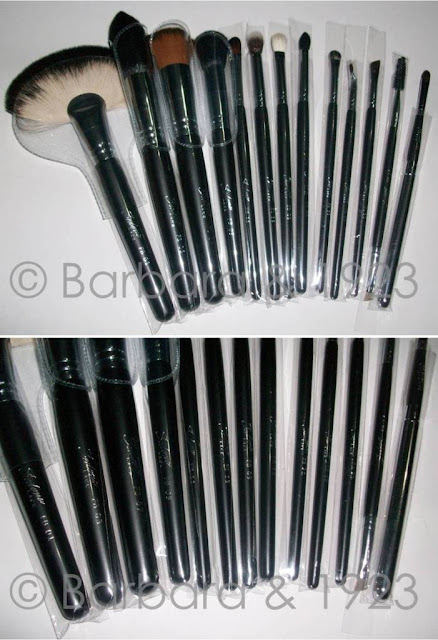 As all my FB and twitter followers know, i just recently received my Sedona Lace Vortex brushes which I had ordered in December. 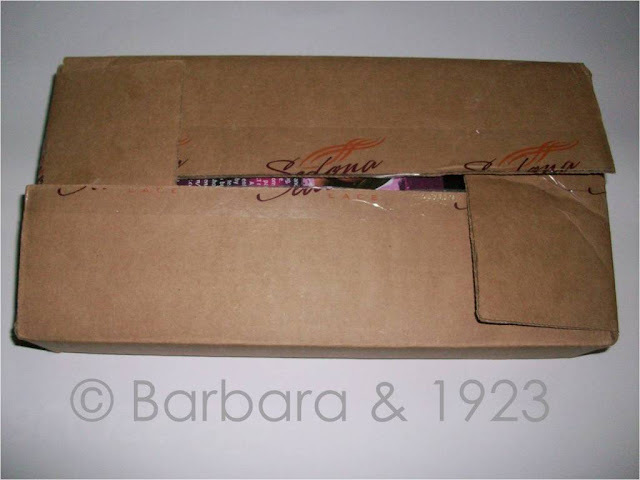 They got lost in transit and Sedona Lace kindly DHLed a new package to me in March which was a wonderful surprise. I have had some time to play around with them and use them both for shoots and my personal makeup so these are my thoughts on them. 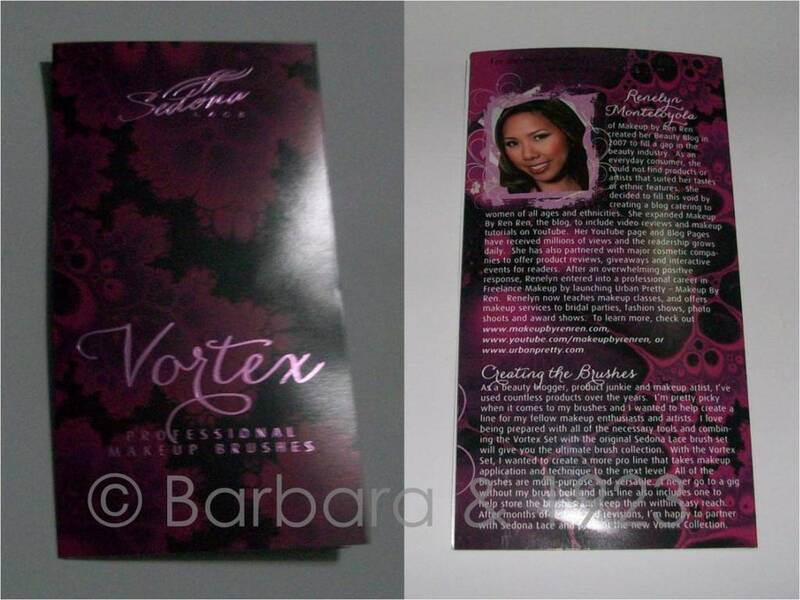 there is a little brochure/booklet in the package which outlines all the brushes, their uses and some tips on using them. There is a little profile of Ren at the back of this booklet. This has become my go-to brush belt for makeup gigs. 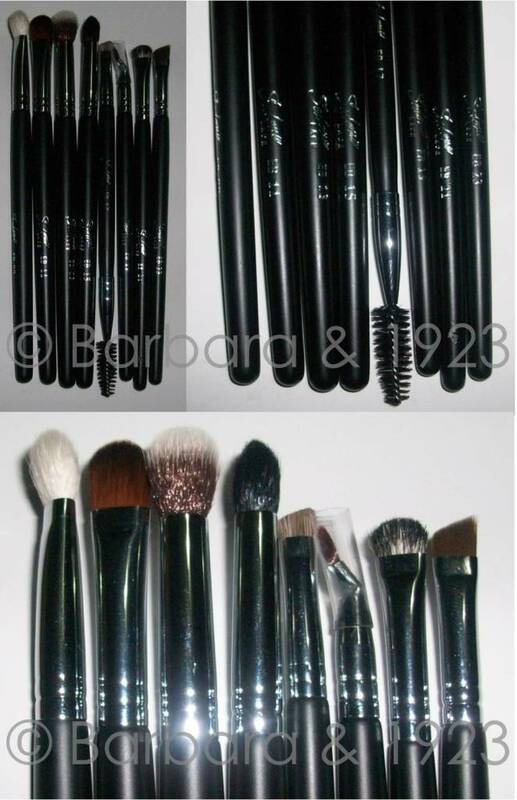 I love the fact that it can contain way more brushes ( these are the brushes I have been stashing it with for all my recent shoots - GD brushes, Real Techniques core collection & stippling brushes and the Sedona Lace Vortex brushes) than it looks and it keeps all the brushes intact. In other words, i can keep the brush belt anyhow in my bag and all my brushes won't scatter everywhere. 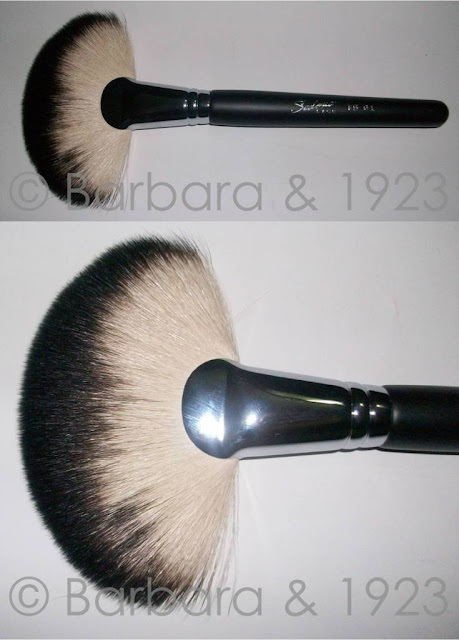 the jumbo fan brush is a multi-purpose brush which can be used to apply powder, blush, highlighter. You can even use it to apply your contouring powder. 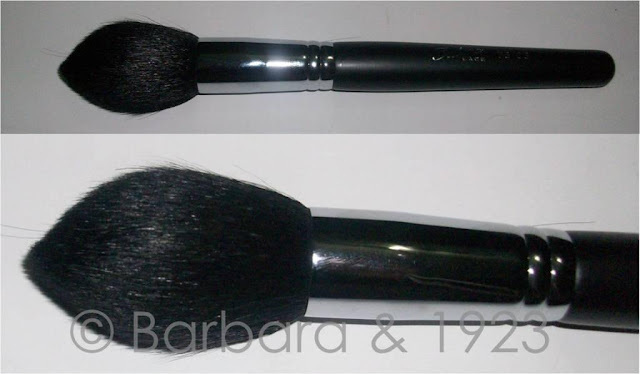 the tulip brush is typically a powder brush which because of its pointed tip can apply powder to hard-to-reach areas. This brush is super soft and so if you are a fan of the very matte, powdered skin; i doubt if this brush will work for you. 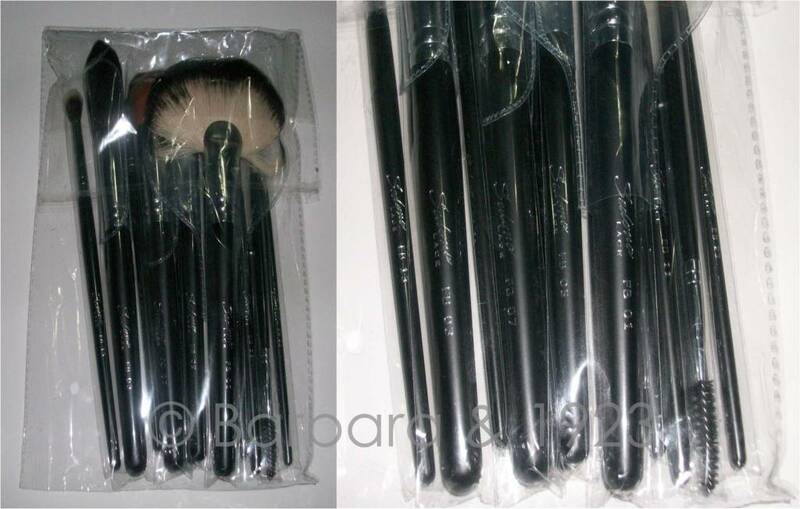 Ren says this brush can also be used to apply liquid foundation (I haven't tried but you can be sure that as soon as I do, you will be the first to know). For now however, I use this brush to apply highlighter and sweep powder all over my face. In my opinion, this flat top synthetic buffer brush is the foundation brush this set doesn't have and I won't be telling a lie. This brush beautifully applies liquid and cream foundations beautifully. You can also use it to apply creme blush and contour creme. I am yet to use it for a powder product though. this is my favourite brush in the whole set. 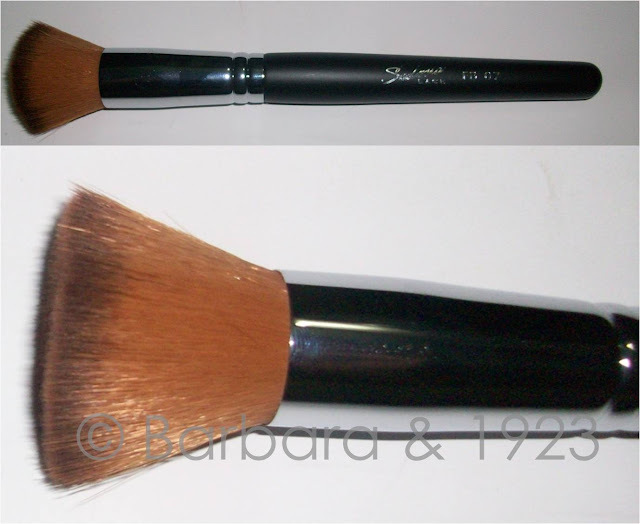 The dome contour brush is one of the most versatile brushes I have seen. it can be used to apply powder, highlighter, contour, blush and I am so looking forward to using it for liquid foundation too as I am of the opinion that it will buff in the product very well. The small, dense, dome shape of the brush makes it ideal for touch-ups and on the go applications. this pointed crease brush is one of a kind. It blends out harsh edges, applies colours to the crease well and can also be used for cut crease looks and as a detail brush because of its pointed tip. It applies the colour exactly where you want it. It took me a little while before I actually used this brush for blending under-eye concealer (which is what it is actually meant for), but once i did..., lol. It blends the concealer really well and even though it is made of synthetic bristles it is not scratchy and so is just fine for the delicate skin around the eye. You can also use this for blending out e/s and as a crease brush as it has just the right shape and density for that. 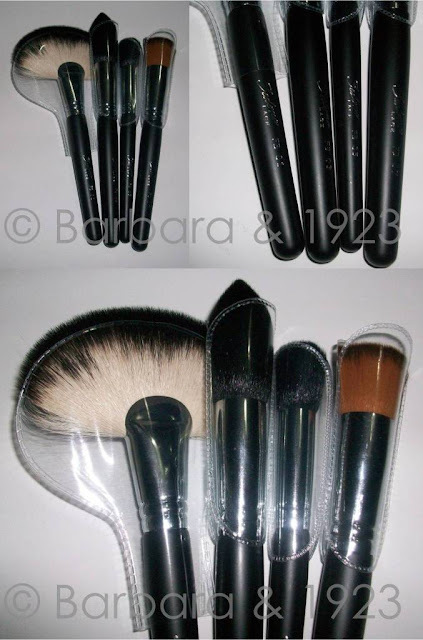 the flat synthetic brush is wonderful for all creme products. I missed buying a discontinued MAC brush (can't remember the no now) but I am really glad I got this one in its stead. 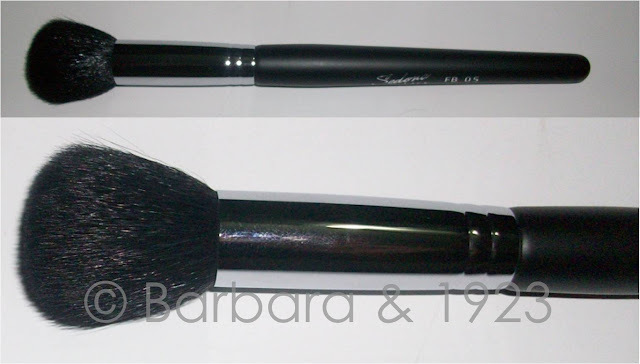 this is a rather good dupe of the MAC 217 brush. It applies e/s nicely to the lids, crease and you can flip it to its side to blend out harsh edges. 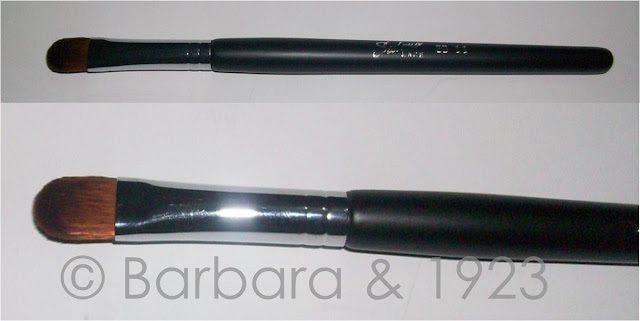 I absolutely love this brush for the brows and for lining the lids too. i sometimes load it with colour and apply to my waterline too (don't do this if you have sensitive eyes and tear up easily). For all you cut-crease lovers, this is also a wonderful brush to use. I am actually yet to use this brush as I much prefer to line lids with angled brushes. I love the flat side of this brush and the fact that it is wider than most other lip brushes. It really helps get the edges of the lips and spread the product evenly. this is one brush I haven't used and which I frankly and truthfully don't think I will use. 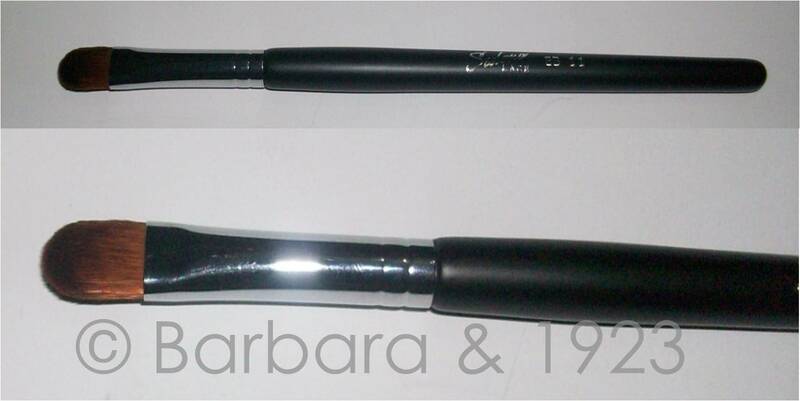 Perhaps it is me, but the brow side of this brush is way too thick to use even on my brows which just need filling. Thus, this brush has been relegated to the side. left - the zipper bag and the brushes; right - the brush belt sipped up. If you were thinking of getting this brush set, i will say go for it. They are of good quality and are really versatile which makes them a makeup artist's friend. 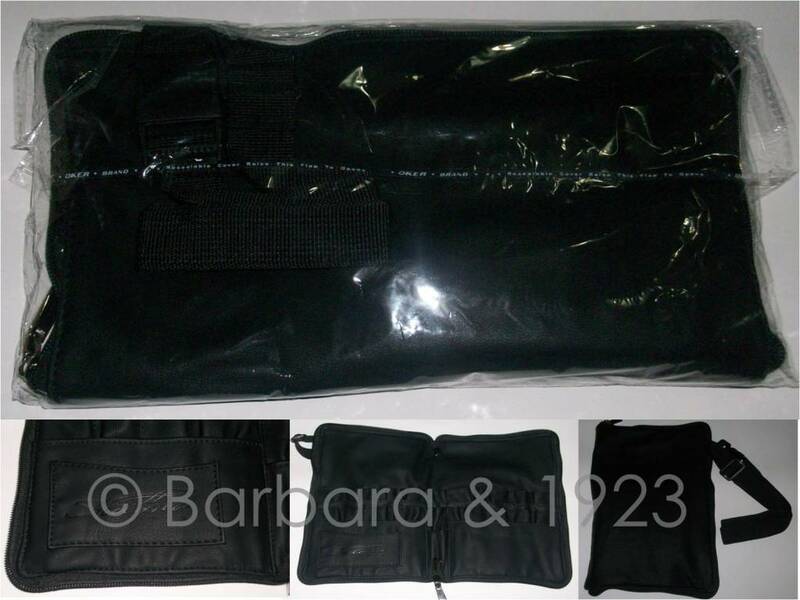 As i said before, the zippered brush belt is a must-have. I will soon be uploading a Blog interview with Renelyn Monteloyola of Makeup By Renren who collaborated with Sedona Lace to create this brush set. If you have any differing opinions or comments as regards the Sedona Lace Vortex brush set, i would love to read them in the comments section.